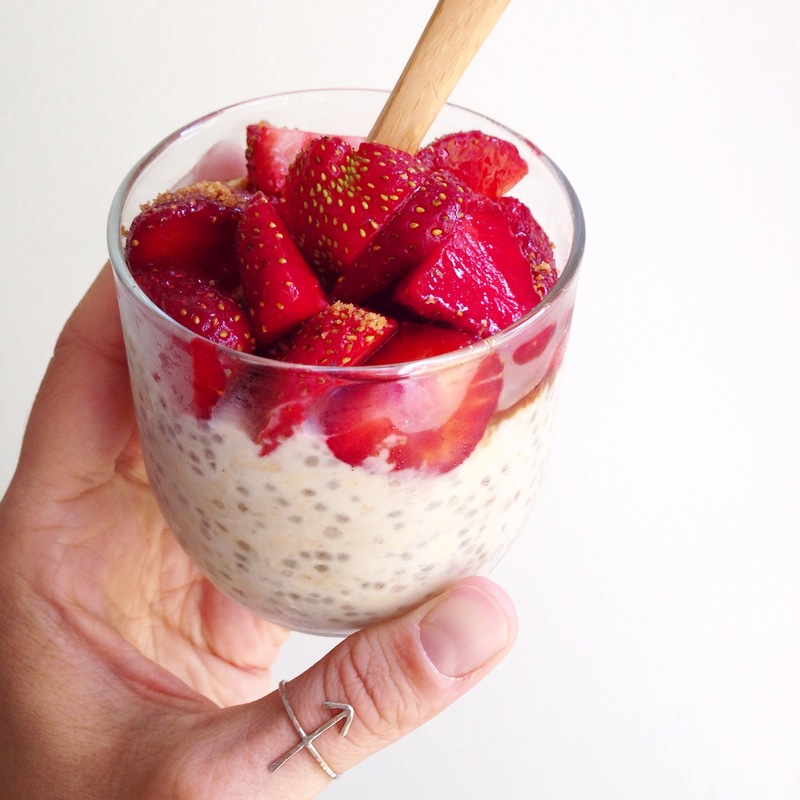 Overnight Oats & Berries. | Eat More Plants. I go through phases with oats, as with most foods, and right now I’m “on” them. Very on them. Like, every night I go to sleep thinking about them and I wake up and eat them immediately. Overnight oats are a thing that you leave in the fridge at night and eat in the morning. I like them better than cooked oats for their convenience and the difference in texture. Cooked oats, as delicious as they are, tend to be kind of gooey if you leave them sitting too long and the overnight oats stay nice and soft. It’s also nice to eat cold oats for breakfast on hot days. Not to mention the addition of chia seeds which adds an interesting texture! I thought it might be weird to have chia AND oats but it turned out quite nice. The chia thickens it up a bit more and of course adds all the health benefits of chia seeds. 1 1/4 c milk, I use hemp milk – any milk will do! Use a splash less milk for thicker oats, I like mine on the soupier side. Leave out on the counter and whisk a few more times, once every few minutes or so, before refrigerating so the chia seeds don’t clump up. Keep in the fridge overnight and eat in the morning! I like to add a little more sweetener in the morning before digging in.